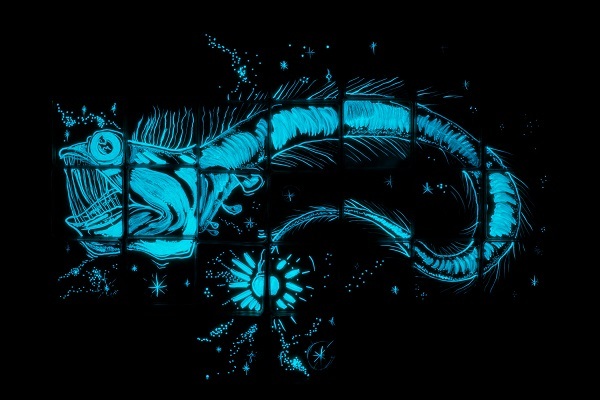 Cinzah ‘Seekayem’ Merkens’ viperfish for Biolumination II. Photo taken by Benj Brooking. 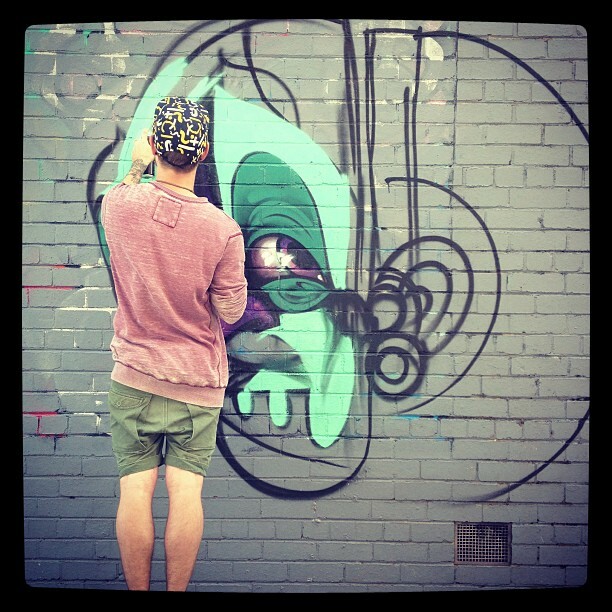 Cinzah (@MrCinzah) is a New Zealand based multidisciplinary artist. He is one of the fore founders of the New Zealand ‘Street Art’ scene, originally starting out putting up paste ups, and painting character based works throughout Auckland and Melbourne close to a decade ago. Since those early days of creeping around at night, Cinzah has moved on to paint at art festivals around the world, has fostered a career as an award winning commercial illustrator, run an art gallery and curated several successful exhibitions, popped out a couple of kids, and left the big smoke for a more relaxed pace of life in the sunny Hawkes Bay. He paints from and for his environment, exploring themes such as the interrelationship between man and nature, duality, mythology and storytelling. Cinzah is more used to painting three storey buildings so when I said he had 16 petridishes to give him a 1 metre by 1 metre ‘canvas’ he asked if he could have a few more. 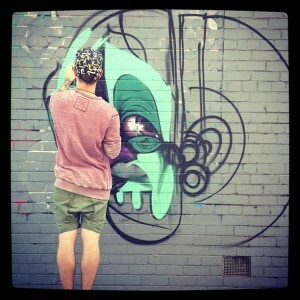 His piece ended up being more than 1 metre in height and about 3 metres in length. It was just breathtaking.